Speed Dreams originated from the famous free racing simulator game TORCS, and the creatores add their own share of exciting features and elements to make it a very enjoyable and addictive experience. It’s also a cross-platform and open source simulation that at the time of writing runs on the platforms Linux (x86, x86_64) and 32 bit Windows. Speed Dreams places players racing in different championships, in tracks that are created with fantastic detail. 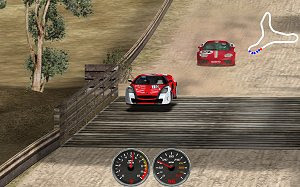 Cars range from rally to Nascar and even some classics, while the several game modes include Quick Race, Championship, Endurance Race and more. Speed Dreams is a frantic simulation and an addictive game that should be played by fans and rookie players alike.